CANMORE, AB, February 7, 2019. 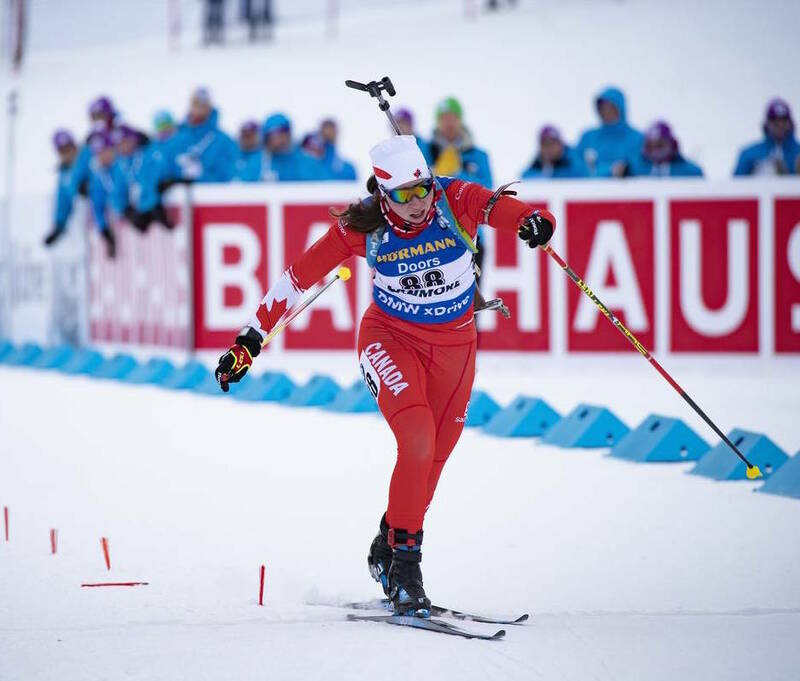 Megan Bankes of Calgary cruised to a personal best 26th in front of family and friends at the BMW IBU World Cup Biathlon Shortened Individual race. Bankes hit eighteen of twenty targets, and was thrilled to have a great race at home. “It was pretty slow snow out there, but I felt like I pushed pretty hard on my skis, so I’m really happy about it, especially the last loop everyone cheering my name.” Bankes said at the finish, and added gratefully “I’d like to thank all the volunteers who are out here standing in the cold. Everything has been run super smoothly”. Rosanna Crawford of Canmore also squeaked into the top thirty with a 29th place in her hometown. “I told myself as long as I skied as hard as I could and did what I could on the range, I’d be happy no matter what. And I’m really happy hitting eighteen”. Pleased not only with a good race, but for the people who have supported her during her career, Crawford said “When I was about to start, and I heard everyone cheering for me, I got a few tears in my eyes. It was just so special to have them there” A Rosanna Fan Club was in attendance complete with signs and cowbells. Sarah Beaudry also posted a strong 34th place, joining Bankes and Crawford by only missing two targets. Bankes and Crawford will be joined by Emma Lunder and Sarah Beaudry in tomorrow’s relay race. The race was won by Tiril Eckhoff of Norway who commented on her solid shooting, “I was more of a biathlete today, not a cross country skier who tried to shoot, so I’m very happy with my race”. Second place went to Marketa Davidova of Czech Republic, and third place was won by Lisa Vittozzi of Italy. 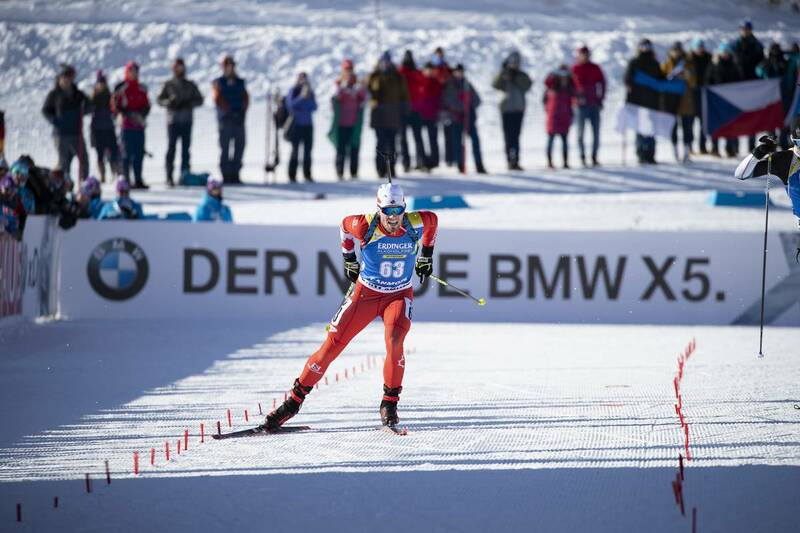 Today’s men’s and women’s races saw the International Biathlon Union implement a new rule for the first time, which allows race distances to be shortened due to extreme weather. The women raced 12.5 km instead of the usual 15 km, and the penalty for a missed shot was 45 seconds instead of one minute. Four Canadians suited up in today’s race; Megan Bankes (+3:14.5, 26th), Rosanna Crawford (+3:21.7, 29th), Sarah Beaudry (+3:36.5, 34th), and Emma Lunder (+5:51.3, 63rd). Start times for Friday’s relays can be confirmed on biathlonworld.com and canmorebiathlon.ca. For more information including confirmed race start times, please see canmorebiathlon.ca, or contact media@canmorebiathlon.ca. 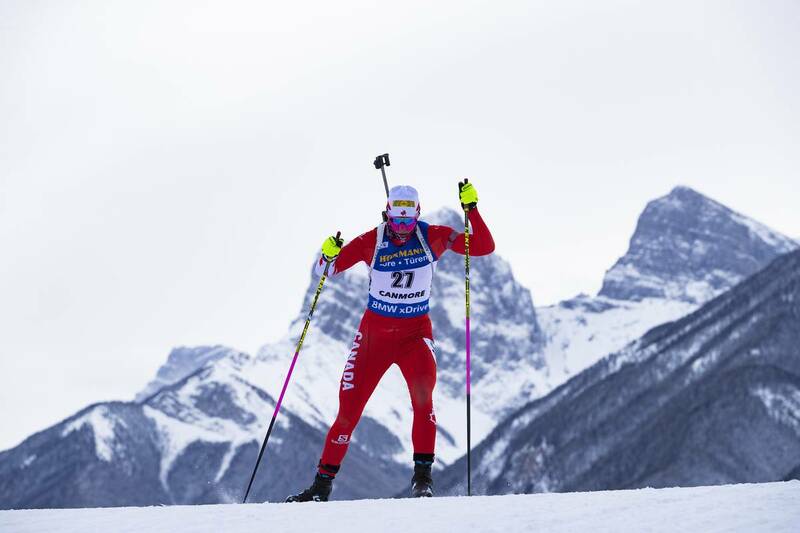 Rosanna Crawford (CAN) – IBU world cup biathlon, short individual women, Canmore (CAN). www.nordicfocus.com. © Manzoni/NordicFocus. Every downloaded picture is fee-liable.